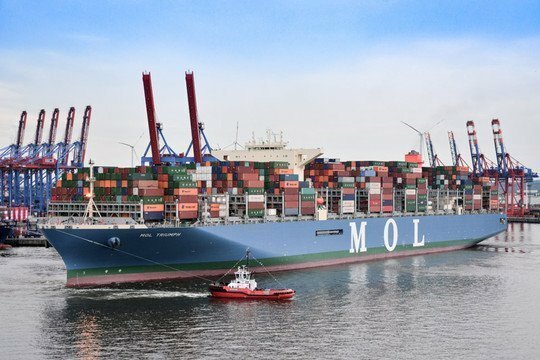 Japan’s largest shipping company, Mitsui OSK Lines (MOL), has become the latest maritime entity to sign up with Rolls-Royce Marine to explore autonomous related technology. The pair will carry out joint research into an intelligent awareness system (IAS). “MOL is targeting safer and more efficient vessels operation and takes a proactive stance on research and development of autonomous ships,” the Japanese line said in a release today. The IAS will be installed on a ferry in service. The technology will be used in new sensors for nautical instruments such as ship radar. The goal is to detect ships sailing nearby as well as obstacles by integration and analysis of the data obtained, and swift provision of accurate ship operation support information to officers onboard. Going forward the idea is to integrate data such as weather and route information in the sea area where the ship is in operation so that the AI system can detect obstacles with greater accuracy and draw upon advanced ergonomics to provide a more effective user interface for crewmembers. “The companies believe this system will help to create the fundamental technology for autonomous navigation, an area where MOL is focusing on as it strives for continual advances in operating safety and efficiency,” MOL stated today. The IAS will be conducted on an MOL ferry in service in the Seto Naikai Inland Sea, one of the world’s most congested sea areas. MOL and Rolls-Royce will jointly collect and analyse data on marine currents, vessel traffic congestion, and other conditions to take the project forward.